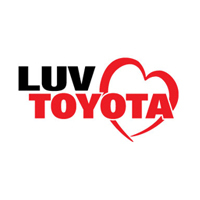 Complete the form below to instantly see LUV Toyota's E-price! *On approved credit from Toyota Financial Services. 3.9% APR financing for 60 months with $18.37 per $1,000 borrowed. Customer cash back from Toyota Motor Sales USA, Inc. Prices do not include government fees and taxes, any finance charge, $75 dealer document fee, any electronic filing charge and any emissions testing charge. Expires 4/30/19. **On approved credit from Toyota Financial Services. Lease a new 2019 Corolla LE model 1852 for $139 a month for 36 Months with $2,999 due at signing which includes $2,860 down, $139 first month's payment, $1,250 TFS Lease Subvention Reduction and $0 security deposit. Lease does not include taxes, license, title fees, $650 acquisition fee, $75 dealer doc fee or insurance. Customer responsible for maintenance, excess wear and tear and $.15 per mile over 10,000 miles per year. See Luv Toyota for all details. Offers expire 4/30/19. *On approved credit from Toyota Financial Services. 3.9% APR financing for 60 months with $18.37 per $1,000 borrowed. Customer Cash Back from Toyota Motor Sales and may not be combined with lease or APR offers. Prices do not include government fees and taxes, any finance charge, $75 dealer document fee, any electronic filing charge and any emissions testing charge. Offers expire 4/30/19. **On approved credit from Toyota Financial Services. Lease a new 2019 Camry LE model 2532 for $189 a month for 36 Months with $2,999 due at signing which includes $2,810 down, $189 first month's payment and $0 security deposit. Lease does not include taxes, license, title fees, $650 acquisition fee, $75 dealer doc fee or insurance. Customer responsible for maintenance, excess wear and tear and $.15 per mile over 10,000 miles per year. See Luv Toyota for all details. Offers expire 4/30/19. *On approved credit from Toyota Financial Services. Lease a new 2019 RAV4 LE model 4432 for $219 a month for 36 Months with $2,999 due at signing which includes $2,780 down, $219 first month's payment and $0 security deposit. Lease does not include taxes, license, title fees, $650 acquisition fee, $75 dealer doc fee or insurance. Customer responsible for maintenance, excess wear and tear and $.15 per mile over 10,000 miles per year. See Luv Toyota for all details. Offers expire 4/30/19.